And you? What you have for breakfast? 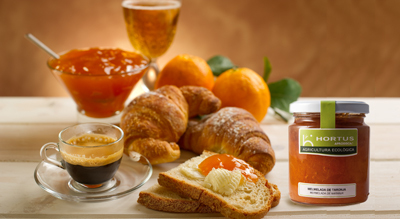 Every morning we cannot make a good healthy breakfast and charge up batteries, that’s why we offer our artisanal and organic orange marmalade considering fruit quality and ripeness. The processes are all carefully carried out by hand, laminating peel, peeling the fruit, chunky cut, separating the imperfections and slow cooking with its own juice. This gives the best high quality product retaining all natural properties and an intense flavour. Of course there are not either added preservatives or colorants.